This heavily textured floral painting comes with a 2 inch wide mat. The outside dimensions including the mat are 12x12. 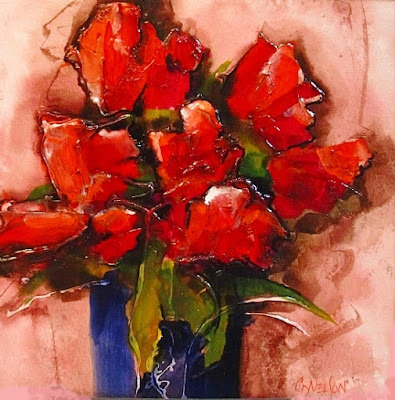 My new VIDEO is out…..
"New Approaches to Mixed Media Materials,"